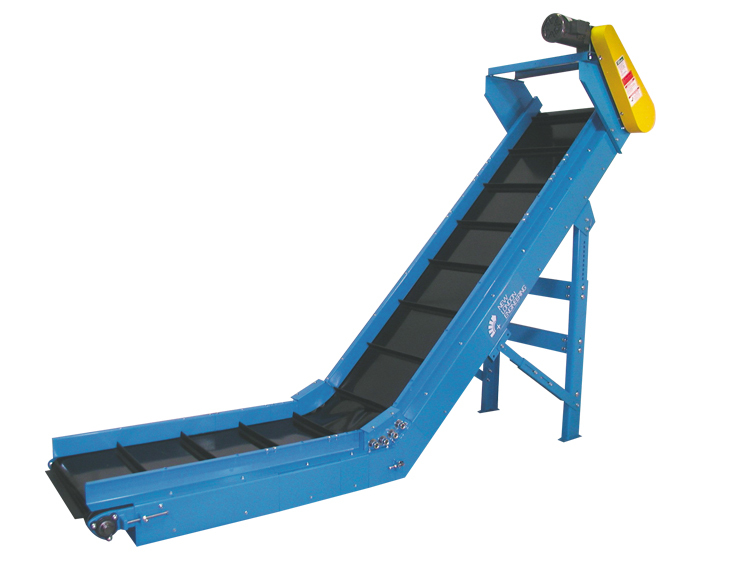 For loose products: plastic parts, stampings, and bulk products (sludge or sand). The frame and pulleys are grooved/notched to provide a track for the rubber guide that is vulcanized to the underside of the belt. This keeps the belt centered for side loading, long run, and short but wide applications.